Keep yourself shooting and get back to the range fast! The P40 Outdoor Target Stand Repair Kit replaces key parts of the target stand to keep your target stand whole. We put together the most requested replacement parts in an easy to ship, easy to store kit. 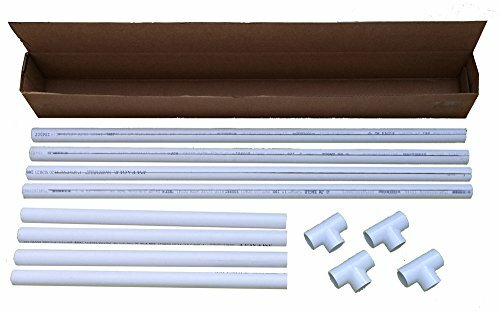 In this repair kit you get: - Four (4) upright pipes, specifically designed for staple-free mounting and the easy slide-in target backer experience. - Four (4) cardboard backer slats for use with the slide-in backer experience. - Four (4) cross beams. - Four (4) joints to support the cross-beams and uprights. If you have any questions about this product by P40 Outdoor, contact us by completing and submitting the form below. If you are looking for a specif part number, please include it with your message.